In 2010, FIFA awarded the right to host the 2022 World Cup to Qatar. The decision was controversial and has since been marred by allegations of corruption and the use of slave labour and unpaid migrant work in the construction of facilities for the tournament. It has been suggested that one of the key factors that allowed Qatar to win the bid was demonstrating new technologies that would allow them to cool a stadium, and much of the credit for this goes to design engineers including some prominent UK-based companies. 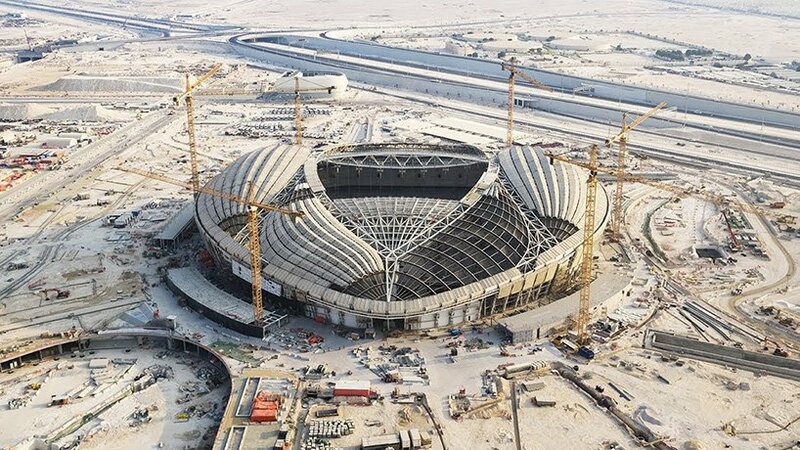 Their work may have been key for the Qatar World Cup to go ahead, so it is fair to question the ethics of engineers whose work has led to such controversial projects being approved. There are several reasons that the work of engineers on projects for the Qatar World Cup can be considered ethical. Utilitarian ethics considers the potential benefit of actions for the largest number of people and argues that anything that positively affects the majority is ethical. Using this theory, the future benefits of infrastructure and potential sporting legacy could benefit a wider number of Qatari citizens than those who are currently affected by the poor working conditions. A good example of this is the construction of new public transport systems. In the short term these will help to carry large numbers of fans to the games, but in the long term better public transport can benefit isolated communities and reduce unemployment by allowing people more access to different areas. Leaving a legacy for future generations can therefore be considered an ethical reason for an engineer to work on projects that may have negative implications in the short term. Another theory that supports engineers contributing to these projects is Kant’s duty ethics, which state that good will is the only ethical consideration that matters. In this case, if the engineers entered into their design work with good intentions and were unaware of the conditions of the workers that would eventually build them, the work was ethical. As previously stated, there are a number of positive aspects to the work being done in Qatar, and duty ethics support any engineer going into this project to deliver these positives. Hosting a World Cup has significant benefits for a host nation, including a short-term boost to the economy and huge increases in tourism. There are also measurable benefits in unemployment after major sporting events, such as an estimated 1,000,000 jobs created in relation to the Brazilian World Cup in 2014. These benefits are not exclusively short term either, as Brunet’s 2005 study showed a constant decrease in unemployment in the 6 years after the 1992 Barcelona Olympics and another study showed that 71% of the jobs created for the 2014 World Cup were permanent. Positive changes like these are a strong argument in favour of engineers helping to design the stadia which give them an opportunity to provide lasting benefits in the region. Using Kant’s duty ethics the intention to create these benefits is a strong enough ethical argument to justify engineers working on these projects. Work underway at the Al-Rakwah Stadium, one of many new facilities being built for Qatar’s controversial World Cup. There are a number of reasons it is unethical for engineers to work on projects related to the Qatar World Cup. From a care ethics perspective, the engineers designing the infrastructure are connected to the workers and therefore the engineer should recognise the vulnerability of the mistreated workers and see the situation from their perspective. It can be argued that the engineers working on this project have neglected several of the fundamental principles agreed upon in the statement of ethics published by the Royal Academy of Engineering and the Engineering Council. Namely, the responsibility to work with honesty and integrity, and be alert to the ways in which their work might affect others and duly respect the rights and reputations of other parties. This places a high burden of ethics upon engineers, making them consider fully the consequences of their work. From a utilitarian perspective the ethics of this problem is debatable. It is difficult to quantify the amount of suffering caused by this venture versus the amount of joy it will bring about. However looking at the context of the country, we see that Qatar has some of the highest income inequality in the world. It is likely that only a few people will see any real economic benefit from the world cup, whereas there are many workers that will suffer because of it. Foreign workers make up 91% of the population of Qatar and 95% of the labour force – these people are unlikely to reap the economic benefits of the World Cup due to not having citizenship, as well as working under the kafala system which opens them up to exploitation by their sponsors, who are often their employers. The engineers working in Qatar are certainly aware of this, making their actions in helping to realise the World Cup in Qatar unethical. On the other hand, many of them may be under the kafala system themselves, meaning their employers have great leverage over them. In this case their decisions may have been made under duress. The freedom principle by John Stuart Mill counteracts utilitarianism by arguing that we must choose the action that results in most pleasure but does not conflict with human nature or dignity and it is clear that workers are being stripped of their dignity and basic human rights. Kantian ethics focuses on the motives behind actions rather than the consequences of those actions. Here the motive for the engineers is most likely to earn money. This cannot be considered a particularly ethical reason for doing something as it benefits them and is brought about at the expense of others. However, it is difficult to ascertain the engineer’s intentions as they could be working on these projects for other reasons such as coercion or caring for their families. 8 – Royakkers, Lambèr , and Ibo Van de Poel . 2011. “Ethics, Technology, and Engineering : An Introduction.” 84-85. Chichester : Wiley-Blackwell. Whilst the ‘Arguments For’ section raises some valid points, I feel that the poor working conditions for the workers are simply unacceptable and therefore would view the work of the engineers as unethical. However, I can appreciate the argument that the engineers were simply designing a stadium and were unaware of the potential future working conditions. It’s hard to accept that the engineers didn’t know how badly the workers in Qatar were being treated when it’s been major news since the start of the project, so I think the argument that they entered into the work with good intentions doesn’t hold much water. I’d agree that this project is unethical. I think the arguments against are much much weaker than the arguments for. The problem here is that these are complex projects and numerous actors are involved. In many cases construction companies are different entities with respect to the consultancy firms, which work on the designs years before the construction even starts. So, it would be difficult for them to check whether the labour standards are satisfied. Plus, do they even deal directly with Qatari officials at all? Do they deal with intermediaries (e.g. the construction companies)? And, if there is a scandal who would you blame between the local government, the construction company or the poor engineer sat in his lonely office somewhere in the midlands? Also, I struggle with the concept that you can deem working for a project as unethical just because the inequalities are so big that the poorest in society will not be able to reap the benefits. The workers might not enjoy the best working conditions, but unemployment caused by lower levels of investment is definitely not the cure. I do not think that 30-40 years ago, when investment in big projects in Qatar was much lower, people were better off. In my view, we should give these countries the opportunity to open up their economy (and their mentality) as much as possible to foster long-term development. Another consideration I wish to make is that, yes, the kafala system is clearly appalling by today’s standards, but we must not forget that western countries (including the UK) used a system in many ways similar to that after WWII. The UK and France made large use of cheap labour from their colonial empire to rebuild after the war. I do agree with the statement that hosting big sporting events provides a boost for the local economy, but are you sure you used the best example? (the Brazilian World Cup) There is a lot of controversy around the benefits that the event brought to the Rio de Janeiro (https://www.bbc.co.uk/sport/football/32073525). A good and thought-provoking article. I think this can show how a project can go from ethical to unethical based on information coming to light i.e. the mistreatment of workers. The article mentions that a key factor to Qatar winning the bid was demonstrating technology that would allow them to cool a stadium, with credit going to design engineers. I am going to focus my comment on whether these engineers acted ethically as I believe the article presents good arguments on both sides relating to once the construction had started and information about worker mistreatment came to light. I believe that the engineers that worked on this technology acted in an ethical way, firstly because as an engineer working within a company you perform the work that is assigned to you and the higher up people in the organisation have deemed this a suitable (and therefore an ethical) project. Secondly, this work will have been done before Qatar won the bid meaning the engineers had no reason to believe that workers would be mistreated. Finally, the technology could be used in the future to provide benefit to society where there is no controversy surrounding the project. I think that everyone that is an engineer and saw these co dictions of other engineers should of spoken out about it also I believe as an engineer we need to stick together to protect our workers rights as that could be any of us tomorrow. So as an engineer we should be asking for an inquiry into the matter and also those that were affected should be recompensed for whatever they have been through. It is defenetly unethical and the engineers were defenetly aware of the circumstances. The engineers are mostly expats who have been involved in similar projects in the middle east due to their vast experience. It is deffinitly impossible for them not to be aware as this is a very common problem in the middle east. Great read! This is a very delicate topic and I think it involves a lot more than just the engineers. As in, if they chose to pursuit an ethical approach, they should just speak up because the current situation is unethical. The problem involves bigger organisations, including FIFA and governments. I do believe that the engineers working on these projects are completely aware of what is going on, but it is really difficult to judge their situation from the outside. If company A did not feel comfortable with the work conditions, I’m sure there would be another company willing to take on whatever project for the same amount of money. I agree with the initial decision of the group, which is that it is unethical for engineers to work on these projects, but then again, the entire organisation of the world cup is very unethical and it has been going on for years. There’s a lot to be reconsider in this specific event and unfortunately I do not think it will change any time soon. “It can be argued that the engineers working on this project have neglected several of the fundamental principles agreed upon in the statement of ethics published by the Royal Academy of Engineering and the Engineering Council.” – an excellent point, bringing Codes of Conduct into the discussion. Overall, this is a strong article with lots of good ethical reasoning.